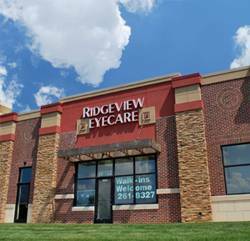 Ridgeview Eye Care has been serving the Kansas City Metro Area for 6 years. Se habla español – Spanish‏ Speaking. We have staff at our eye care clinic who can speak Spanish. Our De Soto office is conveniently located on Lexington Avenue in De Soto, next to JTs Bar and Grill. We are proud to serve De Soto, Shawnee, Olathe, Lenexa and the entire KC Metro Area. Doctor is available on Tuesday and Friday. Hours may vary on Wednesday. Call ahead to confirm.